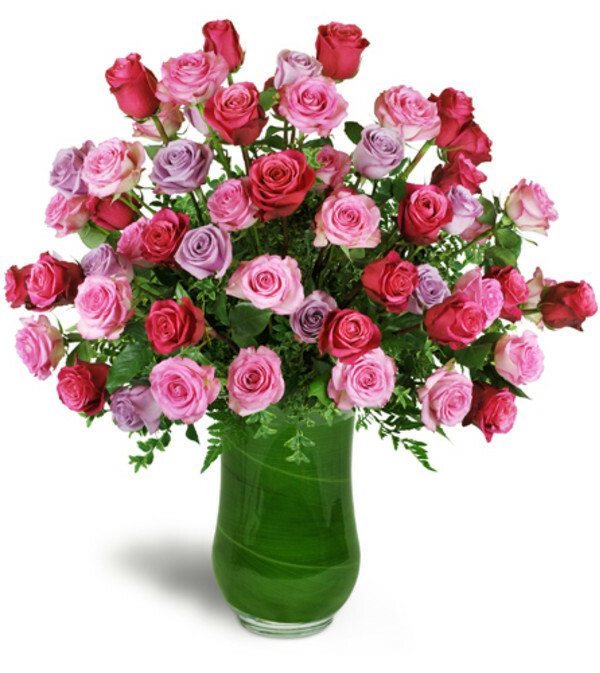 If you're looking to make a statement that will never be forgotten, this stunning display of five dozen sweetly-hued roses is an absolute winner. 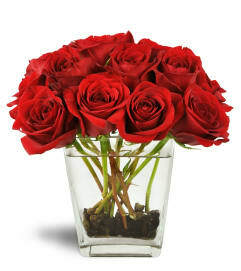 Roses will always be a symbol of love and admiration, and there's no better way to express your true adoration. 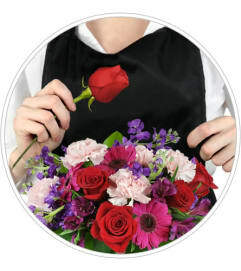 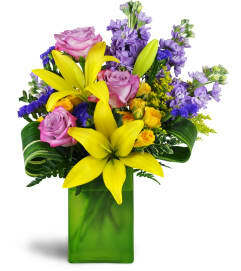 A total of five dozen premium roses in fuchsia, pink, and lavender are arranged in an elegant clear glass vase.